This star-studded extravaganza will provide the following goals of the Conrad O. 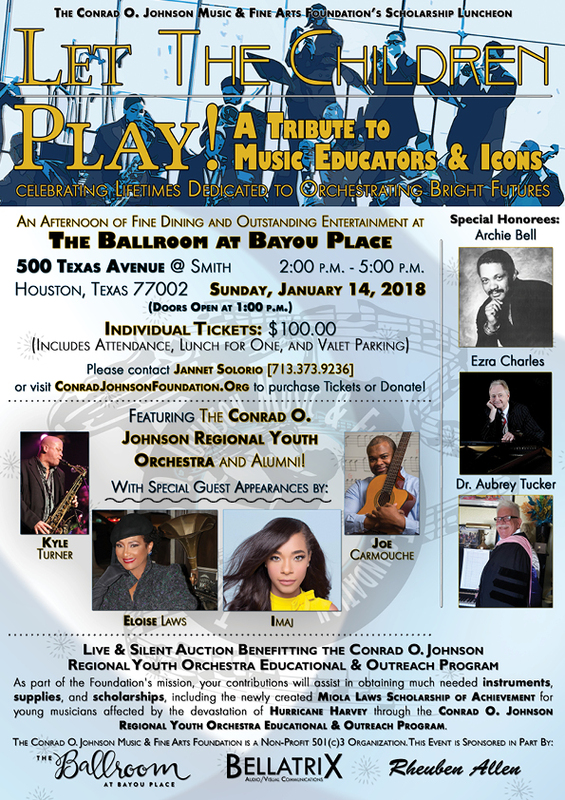 · Provide contributions to the music students and families affected by the devastation of Hurricane Harvey through the Music Instruments Acquisition Program. · Provide an opportunity for the Houston community to reinvest in local aspiring young musicians to become the best in their chosen genre.